Our low-loft Fleece is soft, cozy and easy to work with since it doesn’t fray when cut. Lightweight with a hint of stretch, it makes the most cuddly no-sew Fleece blanket, a perfect gift to give during the holidays. Want to know the best part about this DIY project? A majority of this blanket can be completed without leaving the comfort of your couch! Ready for a DIY project but you’re not into sewing? No problem! 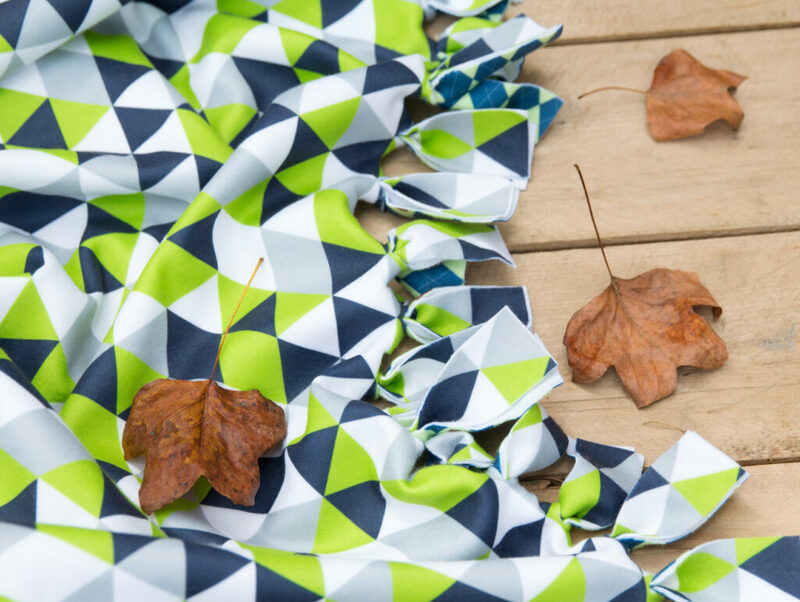 With Spoonflower’s Fleece, you can make a cozy blanket with just a couple simple tools. We’ll show you how to make a braided-edged blanket here, and you can get the tutorial for a knot-edge look in this tutorial. 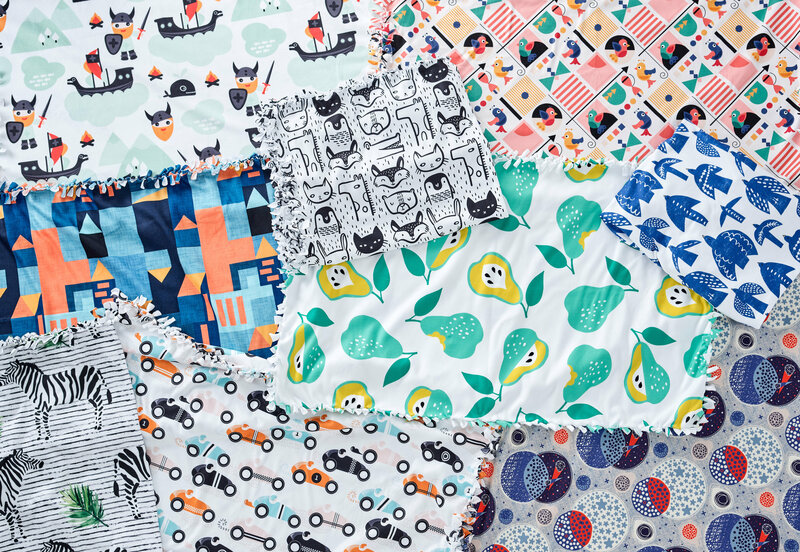 With a project this easy, you can make a lap blanket for a sick friend or whip up a blanket for a kid’s reading nook in no time! Check out the full video tutorial below, or scroll past to view the step-by-step guide. 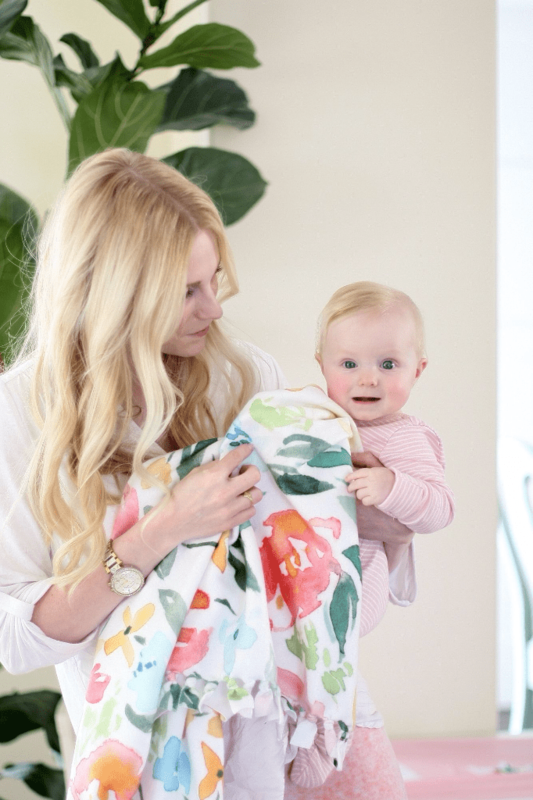 Illustrator, surface designer and mom (to the cutest babies we’ve ever seen) Natalie Malan stops by the blog today to show us how simple it is to make a cozy Fleece blanket — no sewing required! To make this blanket, Natalie printed one yard of new, low loft, double-faced Fleece using a watercolor design she created herself. 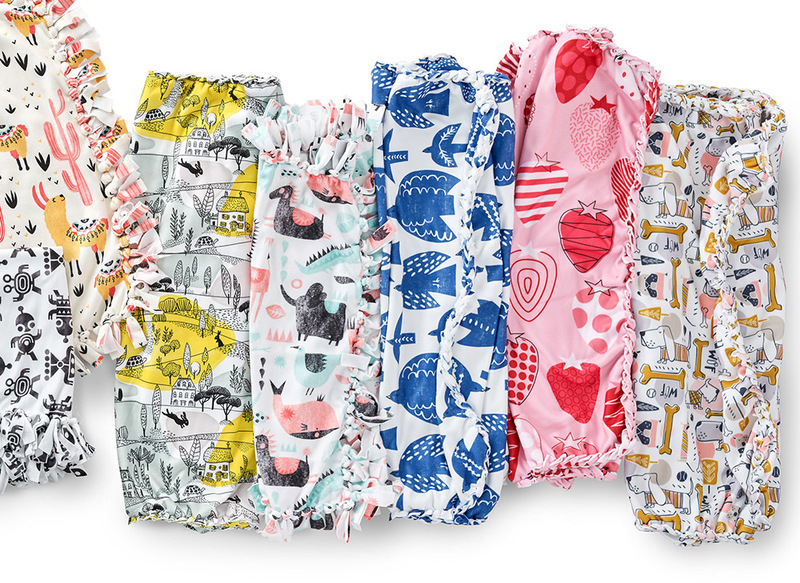 This super simple blanket is perfect for spring picnics, adding a pop of color to your couch or bed, or swaddling a sweet little one! 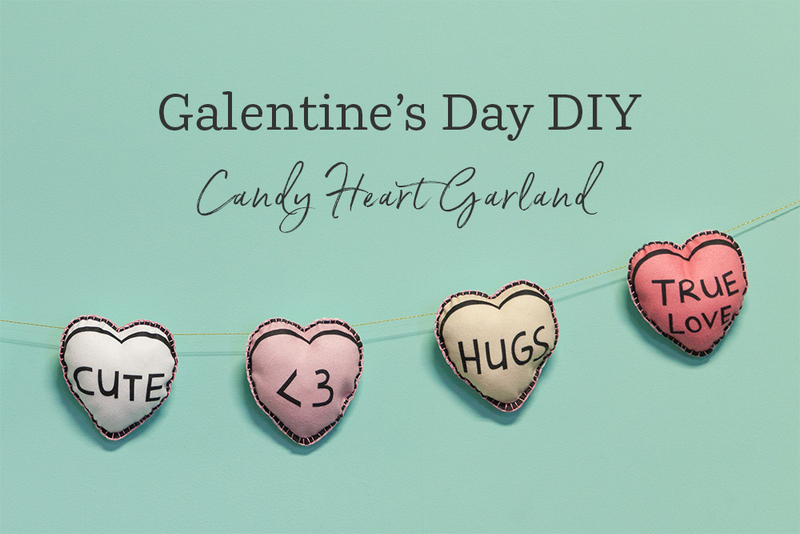 Check out her video tutorial below to find out how you can make one, too. What’s the perfect no-sew project for cold weather AND tailgating? Double sided fleece blankets. This beginner level project can be made in under 30 minutes using two yards of Spoonflower’s Fleece and a pair of scissors. Personalize your blanket to your teams’ colors from our Marketplace of over 350,000 designs or design your own, and get cuddled up this season. 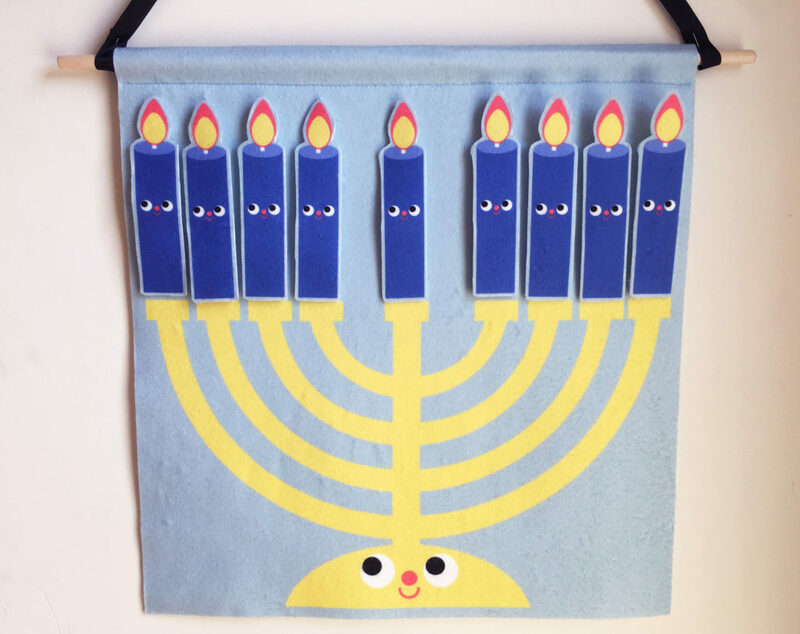 Looking to have a handmade Hanukkah? We’ve got just the thing. Add even more cheer to your festivities with double-sided Fleece bunting (no sewing required!) and themed wrapping paper. We can’t wait to show you this easy, affordable, and super fun project. Let’s get started! Make no bones about it: we love Halloween. 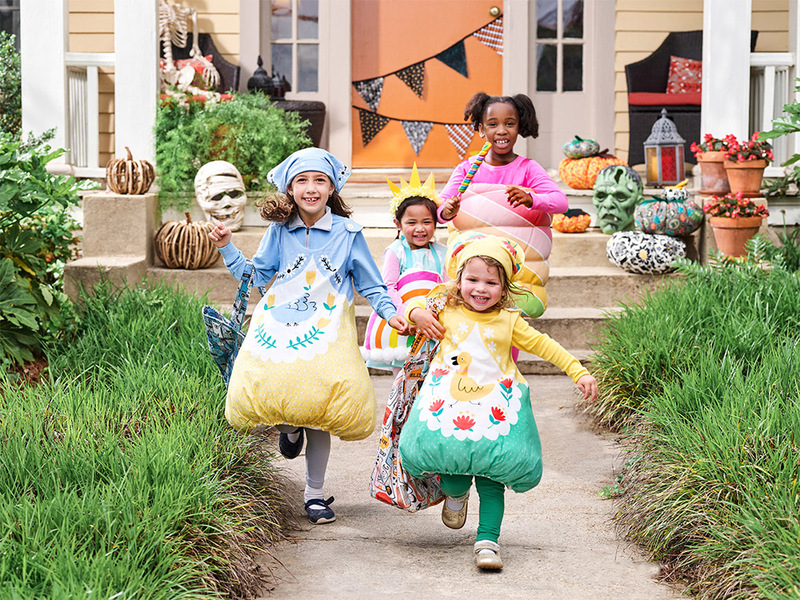 From spooky front door decorations to clever kids’ costumes and vintage-themed parties, there are so many ways to have fun with this holiday. We’ve rounded up 10 crafty projects to match up with your favorite designs. But buyer beware: you’ll find no shortage of ghosts and black cats lurking in our Marketplace. Remember when you were in elementary school and giving out a box of candy conversation hearts was the easiest way to express your admiration for your classmates? While the way we express our love (and taste buds!) may have changed, we can’t help but get that feeling of nostalgia when they make an appearance every Valentine’s Day. 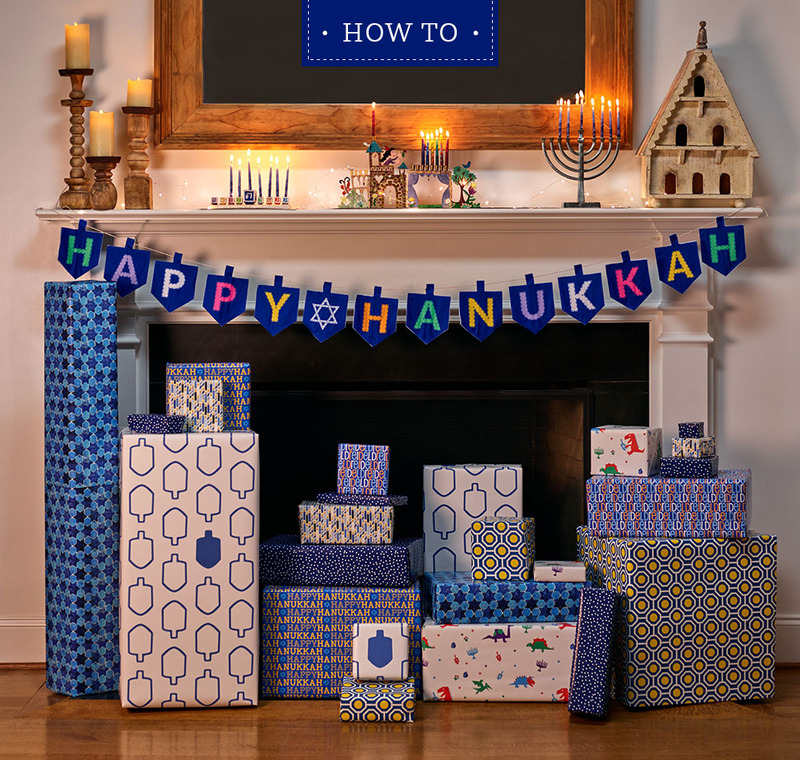 With some help from Spoonflower designer caja_design, we’re showing this popular sweet treat a little DIY love with a beginner-friendly garland using one of our no-sew friendly fabrics, Fleece! Keep reading to see the full how-to including step-by-step instructions for a blanket stitch.